It was a moment straight out of a Sherlock Holmes novel. In January of 1907 Conan Doyle walked into the lobby of a hotel. He was to meet with a man who was trying to clear his name. As Conan Doyle entered the lobby he spotted the man he was looking for, George Edalji. In a flash Conan Doyle knew that Edalji was innocent of the crime for which he’d served three years in prison. George Edalji grew up in Great Wyrley, northwest of Birmingham. His father was a Parsee Indian who had converted to the Church of England and become a vicar. Reverend Edalji married an English woman and together they had three children, including George. The Edalji family endured much racial intolerance. There was name-calling and practical jokes. In 1888 there were also anonymous, disturbing letters. A disgruntled servant of the Edalji family confessed to sending the letters. However in 1892 another series of letters began. This time sixteen-year-old George was accused of being the culprit by local law enforcement. At the time George was a student at the Walsall Grammar School. He was considered an excellent student. No reason or evidence was given for the accusations against him. The letters ceased soon after George was accused of writing them and the matter was dropped. In 1903 something much more troubling happened in the Great Wyrley area. Sheep, cows and horses were being killed. The animals were mutilated in the middle of the night. Long, shallow cuts to the stomach caused the animals to bleed to death. The anonymous letters began again. The letters taunted the police and named the perpetrator of the crimes. George Edalji was named as the person behind of the hideous crimes. By this time Edalji was a successful solicitor. While it was true that he didn’t seem to have many friends that seemed to be the worst that could be said of him. Nevertheless evidence was gathered and a trial was held. George Edalji, vicar’s son and former solicitor, was found guilty and sentenced to seven years’ hard labor. Not everyone who was aware of the case was convinced that justice had been done. A petition was organized to protest Edalji’s conviction and to press for his release. Ten thousand people signed the petition. Because of the publicity Edalji was released after three years. No reason was given for his release, his name was not cleared and no compensation was given for the three years of imprisonment. While Edalji was happy for his freedom he couldn’t practice as a solicitor because of the conviction. He also thought he should receive some sort of compensation for all the time he’d lost and everything he had to endure. Since he hadn’t had much luck with the legal system, Edalji took his case to the press. He published an account of the entire matter. Conan Doyle read about the Edalji case and felt compelled to act. In December of 1906 he began to investigate the matter and everything he found confirmed his initial feelings that an innocent man had been convicted. As he reviewed the facts it seemed to Conan Doyle that the evidence was overwhelming. Edalji was innocent. The bloody razors found in the Edalji home were later discovered to be merely rusty razors. The handwriting expert who testified that Edalji’s handwriting matched the writing on the taunting letters was discovered to have made a serious mistake on another case causing an innocent man to be convicted. The mud on George’s boots was of a different soil type than that of the field where the last mutilation took place. The killings and letters continued after Edalji was prosecuted. 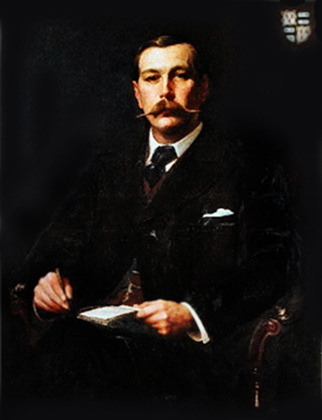 Conan Doyle wrote a series of articles for the Daily Telegraph about the Edalji case. He outlined everything in great detail. These articles caught the public’s attention and that caught the attention of the British government. At that time there was no procedure for a retrial so a there was a private committee meeting to consider the matter. In the spring of 1907 the committee decided that Edalji was innocent of the mutilations, but still found him guilty of writing the anonymous letters. Conan Doyle found anything less than a finding of innocent on all charges a miscarriage of justice, however the decision made a huge difference for Edalji. The Law Society readmitted him. Edalji was once again able to practice as a solicitor. It is important to note that partially as a result of this case the Court of Criminal Appeal was established in 1907. So not only did Conan Doyle help George Edalji, his work helped to establish a way to correct other miscarriages of justice. If you’re interested in the George Edalji Case then you may enjoy this novel, Arthur & George. As boys, George, the son of a Midlands vicar, and Arthur, living in shabby genteel Edinburgh, find themselves in a vast and complex world at the heart of the British Empire. Years later—one struggling with his identity in a world hostile to his ancestry, the other creating the world’s most famous detective while in love with a woman who is not his wife–their fates become inextricably connected. 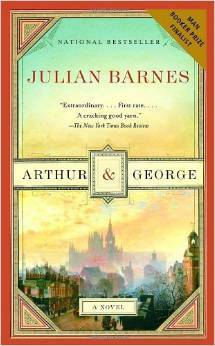 In Arthur & George, Julian Barnes explores the grand tapestry of late-Victorian Britain to create his most intriguing and engrossing novel yet.